A retired criminalist from Ventura, California, John Houde is the author of the award-winning book Crime Lab: A Guide for Nonscientists (2006). 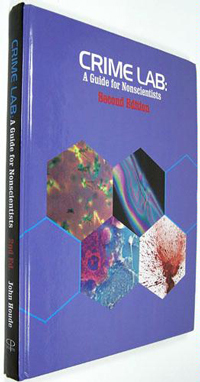 The book describes the analysis of evidence gathered at crime scenes, and explains complex instruments such as the gas chromatograph and techniques like DNA amplification in easy-to-understand terms. A wealth of color illustrations accompany the text. An enthusiastic reader says about Houde's book: "Fear not, science-phobes, for a fun-to-read, exceptionally well-illustrated comprehensive book on what goes on inside a crime lab has finally been published." 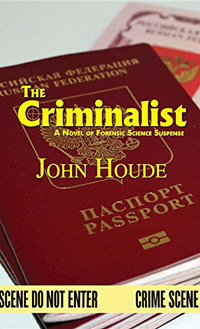 Houde's latest work is The Criminalist: A Novel of Forensic Science Suspense (2016). The book takes readers on an intricately woven adventure of truth and lies as Paul Connert, your everyday forensic scientist, joins forces with a beautiful and desperate Russian model in order to combat crime. "I couldn't read John's novel fast enough to keep up with all the twists and turns leading toward a pulse-pounding finish." (Raymond Davis, author).